There are many reasons we anticipate this time of year. One of the most exciting things I look forward to each December is the announcement of the Goldenwest Bonus Dividend. I’m pleased to report the Board of Directors has unanimously approved a Bonus Dividend that will result in members earning an anticipated $1,975,000 on December 31, 2018. Goldenwest has collectively returned more than $13 million to members with the Bonus Dividend program over the past 15 years. As a not-for-profit financial cooperative, there is no better way to reward our members for their loyalty than to return earnings in the form of higher dividends on deposits. The Bonus Dividend is calculated on primary shares, secondary shares, Christmas Club shares, and IRA shares. The Board has declared that members will earn a 4.30% Annual Percentage Yield (APY) on qualifying share accounts for the month of December. The one-time dividend is paid in addition to the 0.10% APY monthly dividend. The total dividend paid for the month of December will be 4.40% APY, or an equivalent rate of 0.46% calculated on the average daily balance for the year. The $1,975,000 pay-out is the highest Bonus Dividend disbursed to members in the Credit Union’s history. It’s worth mentioning that the Bonus Dividend isn’t the only savings yield that has increased in the past year. Our members have earned higher dividends with increased rates on Certificates and Insured Money Market accounts during 2018. In other Credit Union news, we held a ribbon cutting and grand opening celebration for our 40th branch office on November 28th. Located in the City of North Salt Lake on Redwood Road, this new branch serves the rapidly growing residential areas and business districts in southern Davis County. Our members in North Salt Lake and surrounding communities will now have greater access to the distinctive service they have come to expect from Goldenwest. We appreciate the warm welcome we have received from residents, city officials, and local businesses. If you live or work in the area, Branch Manager Bree Motta and her team stand ready to assist you with your loan, deposit, mortgage, and insurance needs. Finally, it’s with heart-filled gratitude I share the news that two long-term employees are retiring at the end of the year. On behalf of the members of Goldenwest, I congratulate Rich Evans and Debbie Solomon on their retirements. 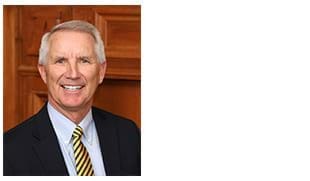 Rich Evans has worked for Goldenwest for the past 26 years, and has served diligently as a member of our executive team for the better part of two decades. Rich has been the administrator who provides strategic direction and oversight for consumer lending, underwriting, operations, collections, security, facilities, human resources, and training. He has been a highly-valued contributor to our organization, and I have enjoyed working closely with him over the years. Debbie Solomon has set a new record for employment at Goldenwest with 46 years of service to our Credit Union! Debbie started her Goldenwest career as a teller while she was in high school. Over the years she opened and managed several of our branch locations, and has served as Vice President of Branches for more than a decade. Debbie is fiercely loyal to Goldenwest employees, and a strong advocate for our members. Her hard work and thoroughness have greatly benefited the Credit Union. We wish both Rich and Debbie the best in their future endeavors! From all of us at Goldenwest Credit Union, we send you warm wishes for a wonderful and safe holiday season. May your Christmas be merry and your New Year be prosperous! We welcome your comments. Please use the form below to submit your comment. Your comment will be posted on this page for others to read.